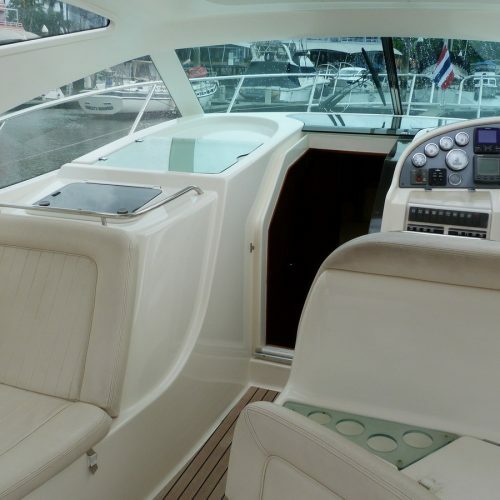 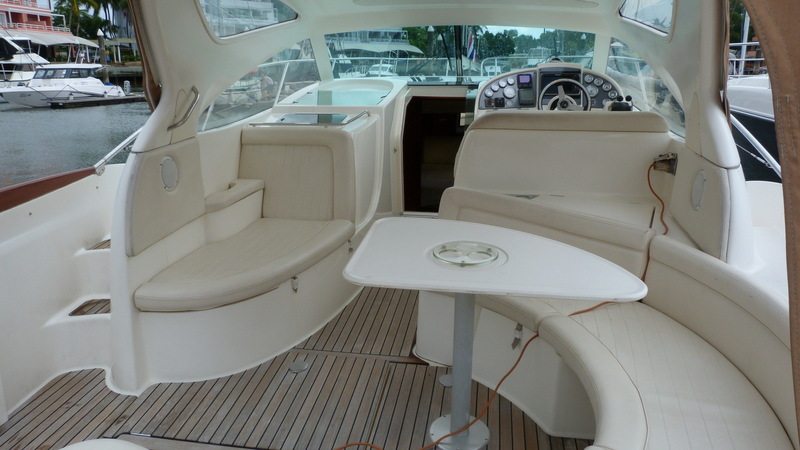 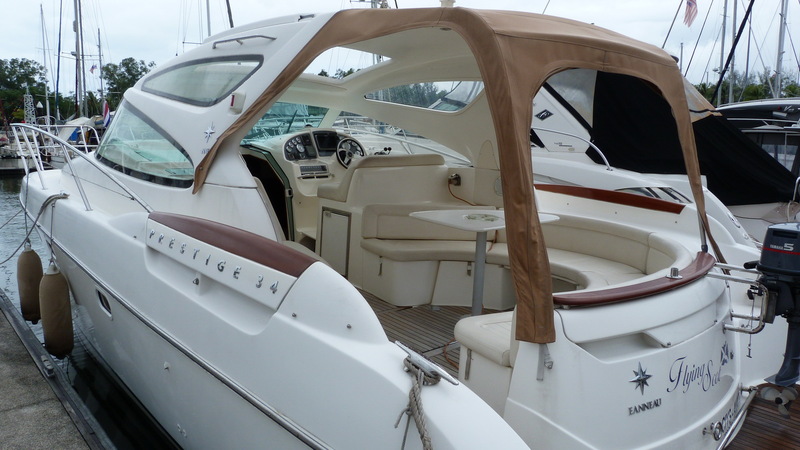 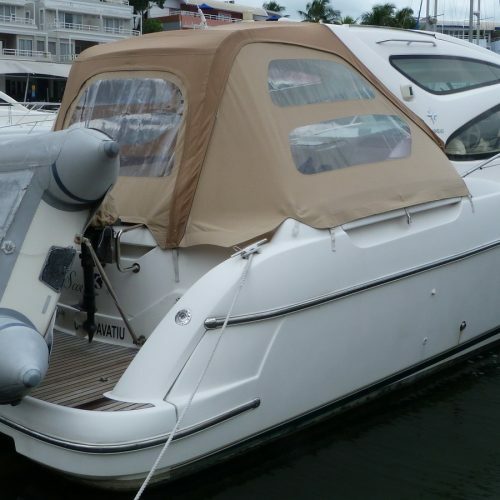 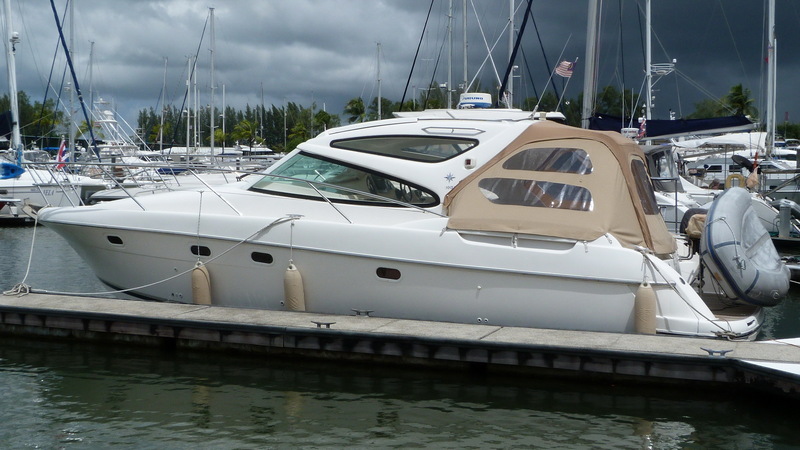 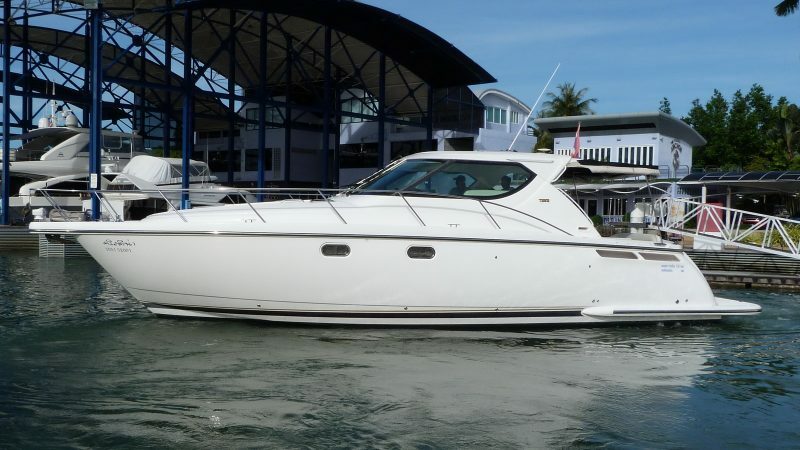 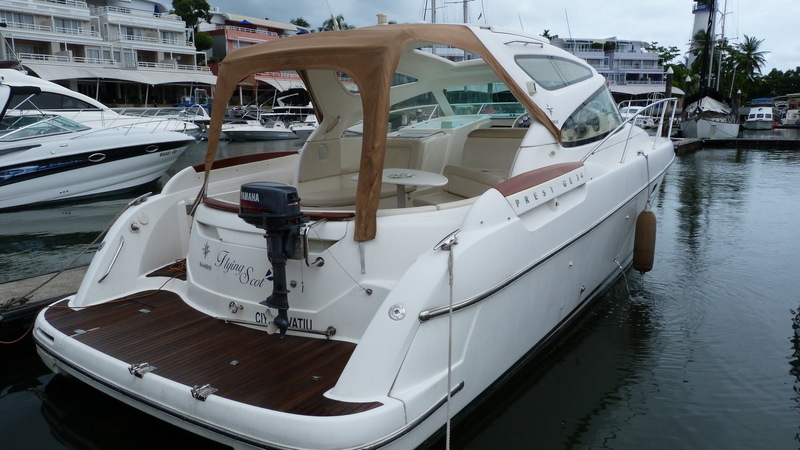 This Jeanneau Prestige 34 has a manual hard top and full cockpit enclosure which is ideal for the tropical climate of Phuket. 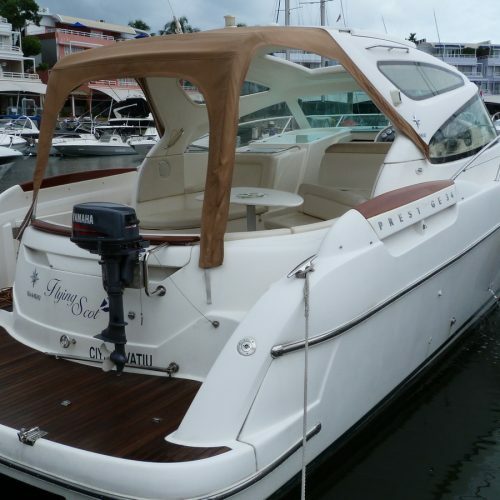 The wide deep v hull provides lots of internal volume and delivers a soft, dry and extremely stable ride. 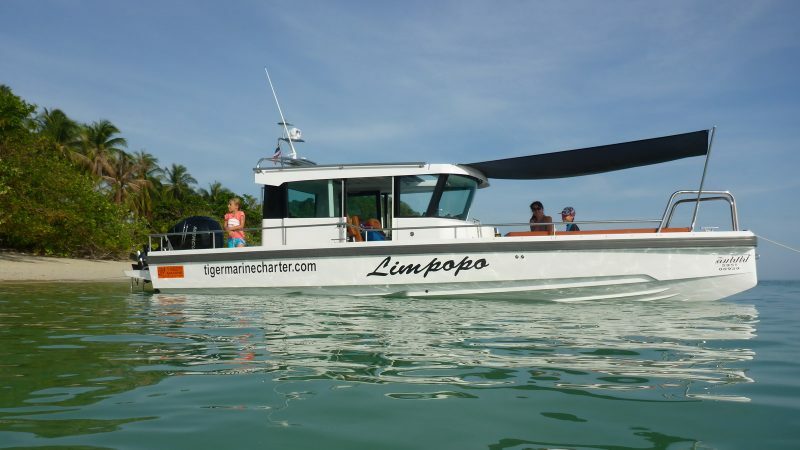 Powered by twin Volvo D4 260hp stern drives she cruises at a very economical 25 knots and can reach 30. 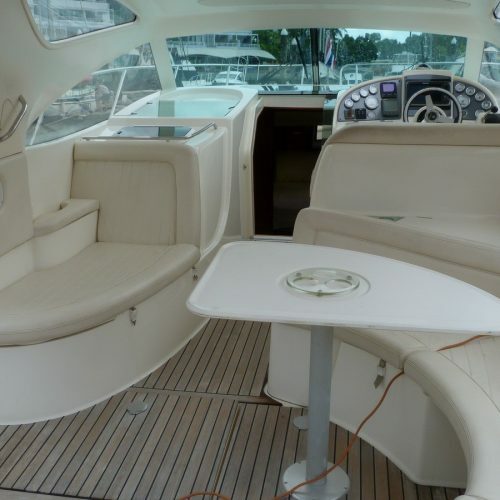 The bright and airy cockpit is ideal for entertaining and has seating for up to 10 guests. 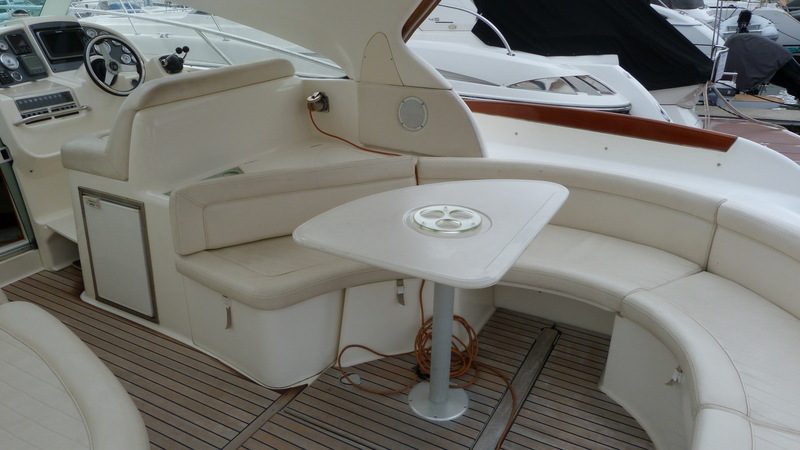 The large warp around sofa has a removable table that converts to a large sun pad. 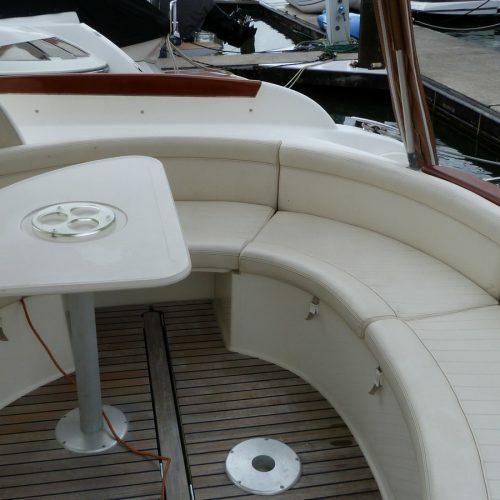 Moving forward there is a comfortable lounger to port and a double helm seat. 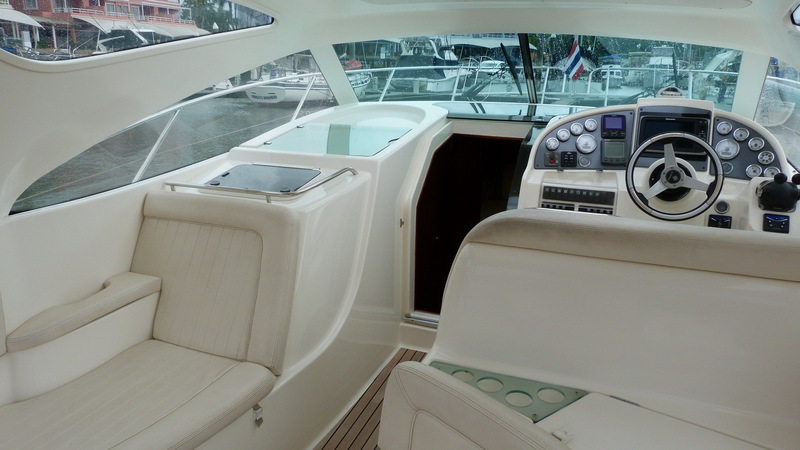 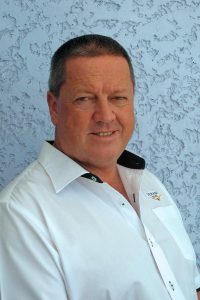 The helm has full Raymarine electronics featuring a chart plotter with AIS, depth and speed and autopilot. 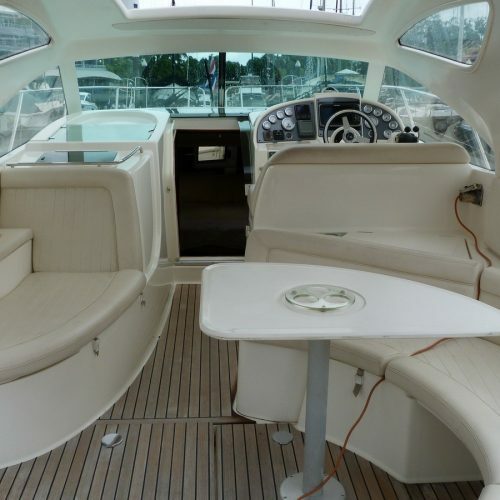 Down below decks there is more room than on most boats of a similar size. 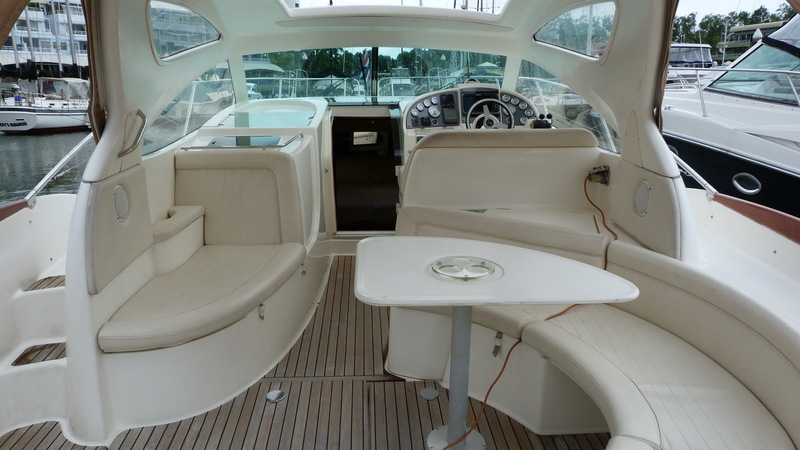 The forward master cabin has an island bed and there is another double amidships. 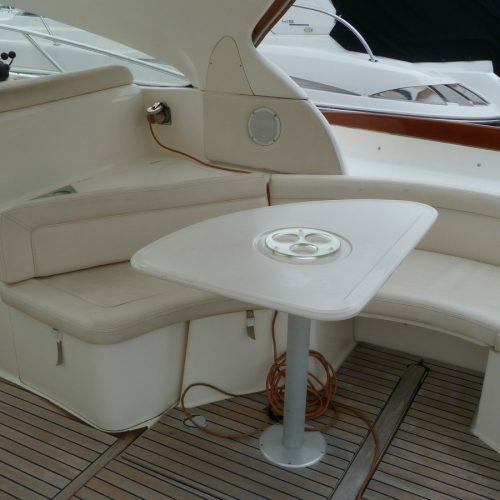 In the saloon there is a comfortable lounge to starboard and a galley to port with a 3 ring Eno stove, microwave and fridge. 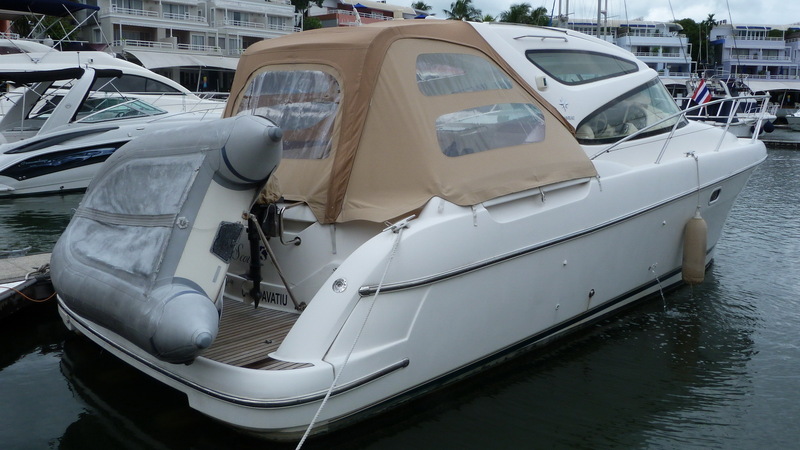 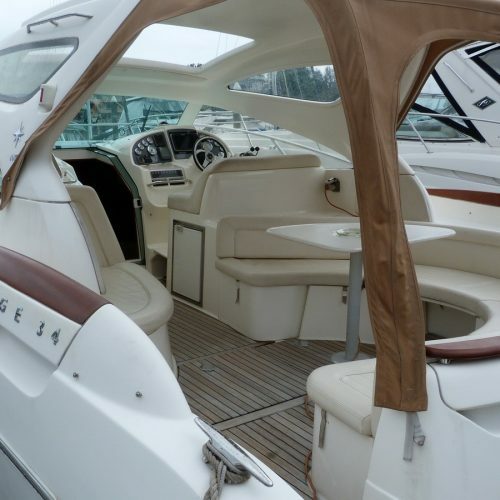 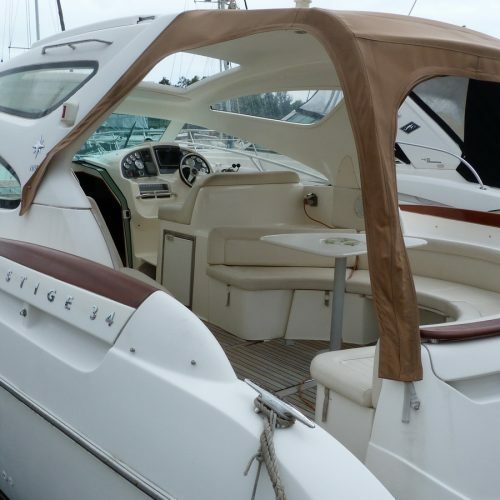 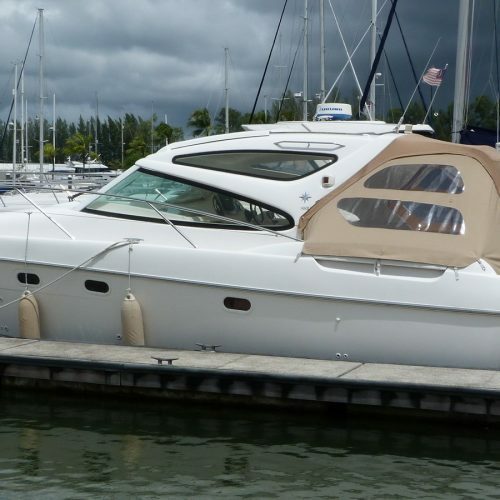 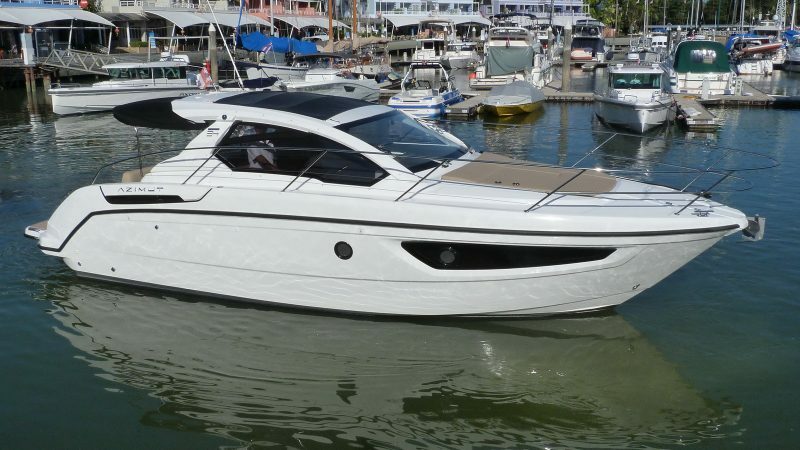 This Jeanneau Prestige 34 Hard Top has a comfortable air conditioned interior and large outdoor spaces to enjoy extended cruising with friends and family. 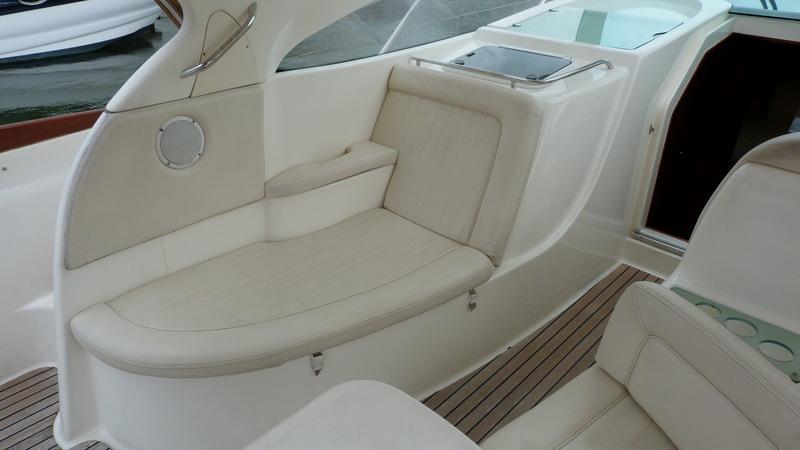 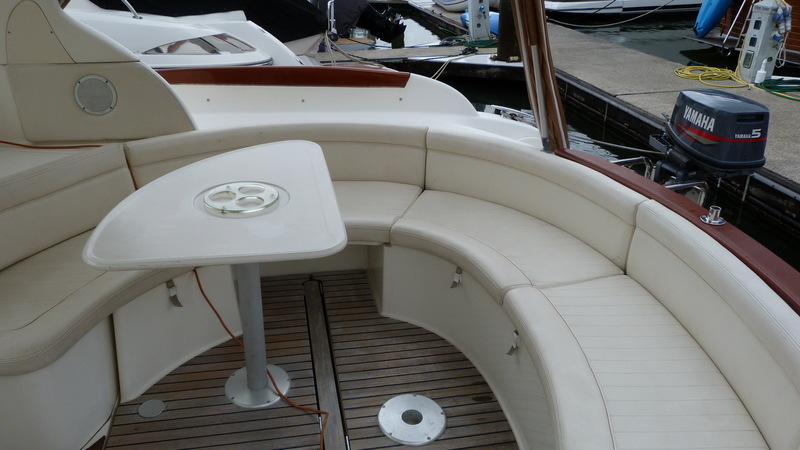 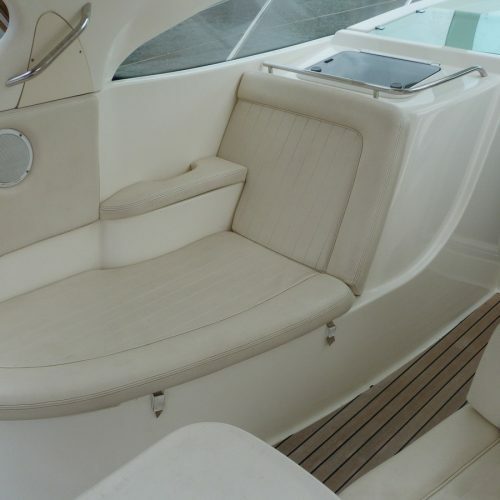 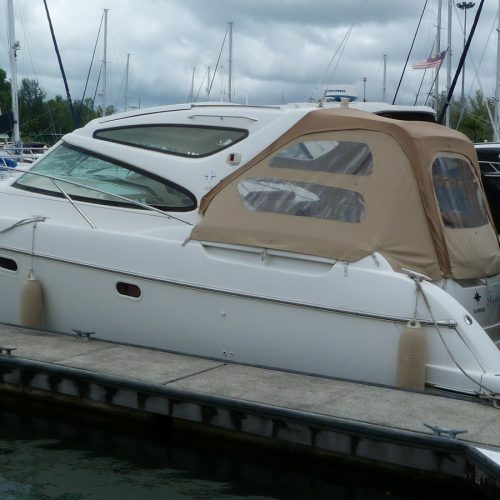 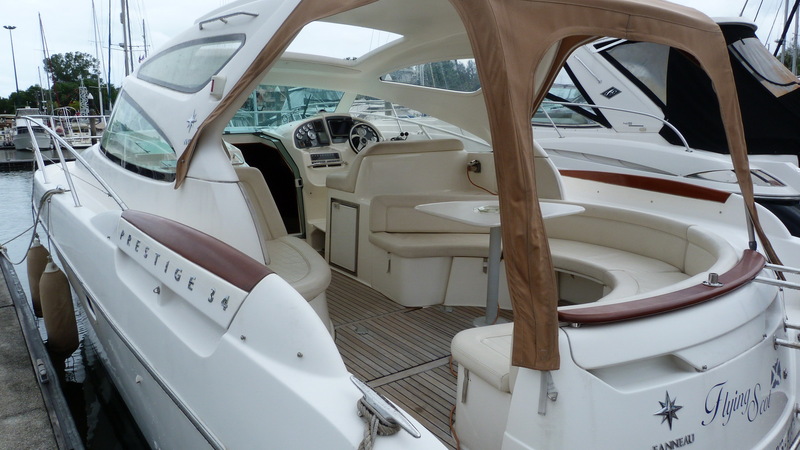 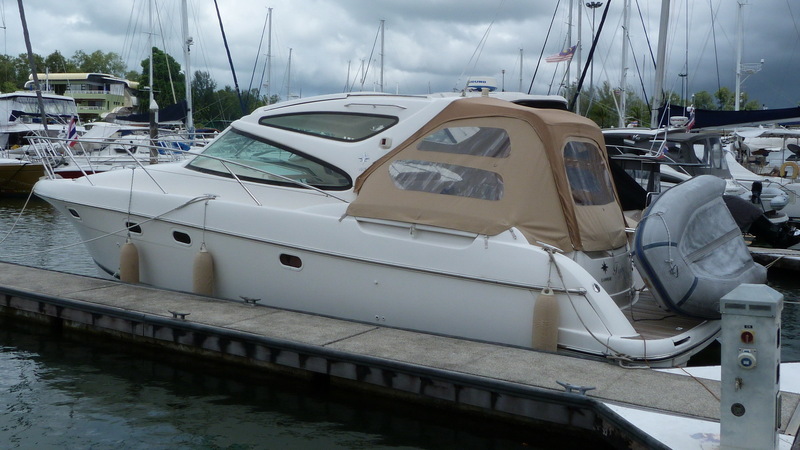 The boat is in good condition for her age and has been well cared for by her single owner.